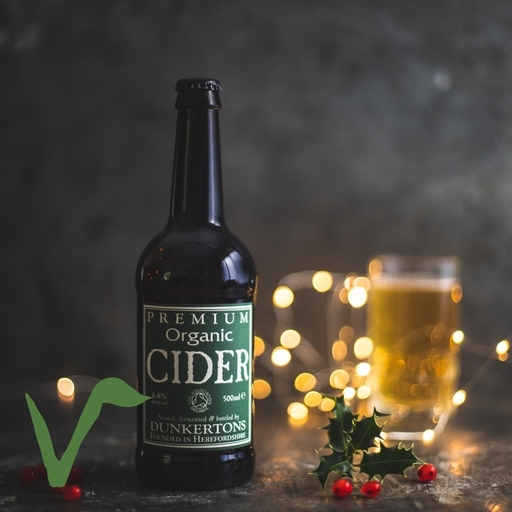 Dunkertons are all about flavour: their cider really tastes of apples. This medium-sweet brew (quite strong at 6.8% ABV) is made with a blend of six traditional cider varieties, including sweet Knotted Kernel, strawberry-fragranced Foxwhelp and bittersweet Kingston Black. The result is a smoother, sweeter cider that will bring back summer days, even in the dark of winter. In 1980, Ivor and Susie Dunkerton fled London to buy a smallholding in Pembridge, Herefordshire. This trailblazing pair spotted the benefits of organic farming early: they wanted to make cider without using concentrates or chemicals, and by 1988 had been awarded Soil Association certification. 30 years later (and with the business now in the hands of Ivor and Susie’s son Julian), many flavoursome apple varieties are still grown at the original Pembridge farm with minimal intervention. Sheep graze in the orchards, and the grasses are left long to provide habitats for pollinators and other wildlife.